This is “J” president of th car club. The Hot Wheels “Drag strip demons” never failed to impress me...almost. In 1969 Mattel made the Snake and Mongoose franchise. In 1977, HW introduced the Plymouth Aero funny car. 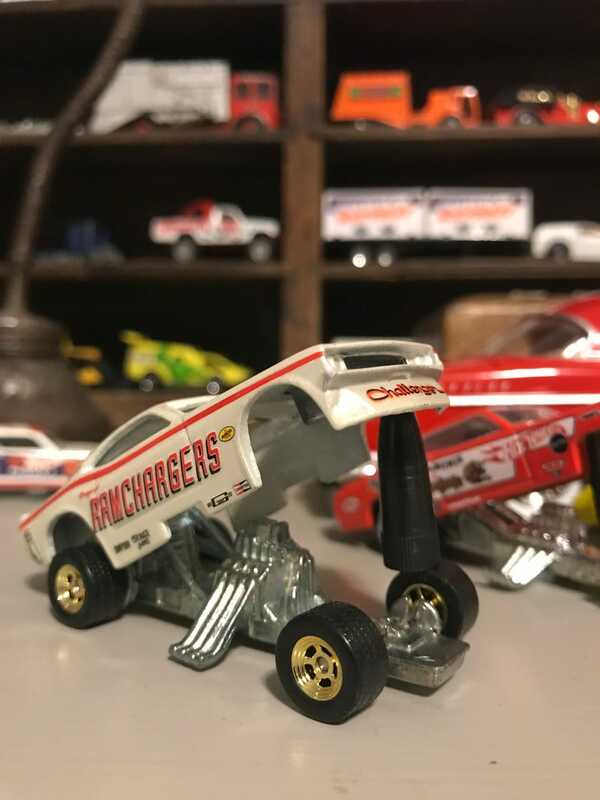 When I got the 1971 Dodge Challenger Ramchargers I was expecting the normal Drag strip demons chassis, but to my surprise, it had the Plymouth Aero chassis from 1977! Also it had tires that stuck out, but they didn’t even change the tire’s size. Although it had a messed up everything, the body was great. And yes, the Challenger is being propped up by the top of a Bic pencil.